C.S. Lewis meets CSI...when Dayna Chrissie, LAPD's leading Crime Scene Analyst, finds a medallion on a body that's been dumped at a downtown construction site. She doesn't think it's out of the ordinary. Until that medallion transports her to the magical world of Andeluvia. Dayna's been summoned to solve the murder of the realm's king, before war breaks out between Andeluvia and the Centaur Kingdom. 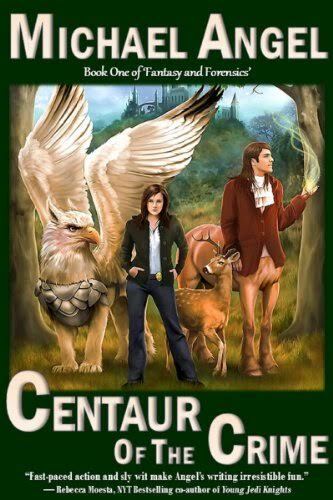 Dayna ends up with a team of cast-offs: a centaur wizard with father issues, a brash griffin warrior, and the world's unluckiest magical deer. The price of failure? A war that will kill millions and devastate Andeluvia. Hope she works best under pressure.